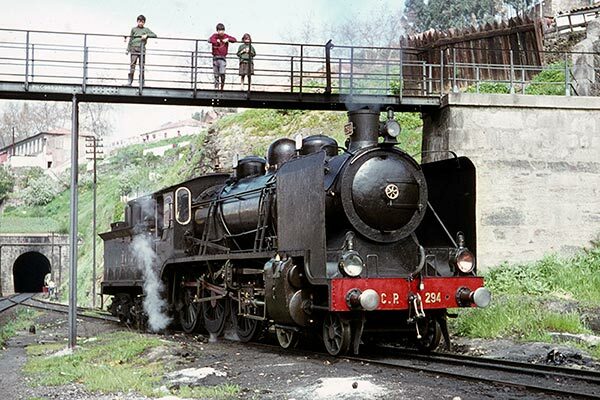 Caption - Portuguese Railways (CP) 4-6-0 294 at Regua in April 1971. Six of these handsome locos were built by Henschel in 1912 and most of the class worked until the end of broad-gauge steam in the mid 1970's. Today, 294 still exists and can be found at Vila Nova de Gaia.